A leaked trailer for Street Fighter V has confirmed that Capcom’s next fighter will be a PlayStation 4 and Windows PC exclusive. The clip briefly (prematurely) appeared on Capcom’s channel before being pulled. Odds are, it was intended to make its debut either tonight at the inaugural Game Awards in Las Vegas or perhaps more likely, during Saturday’s PlayStation Experience event. The trailer doesn’t actually show a lot of footage from the upcoming game. Instead, it’s more of an inspirational piece that pays homage to the Street Fighter franchise as a whole. Such works typically turn out a bit cheesy but Capcom really nailed it with this one. As Polygon points out, the term “exclusive” can mean a lot of different things in the gaming industry. Taken at face value, one would expect the game arrive and remain on the PS4 and PC through its lifetime. On the other hand, we could also be looking at a launch exclusive that would see the game show up on other platforms several months later. Capcom’s second best-selling franchise (can you guess the first?) was designed by Takashi Nishiyama and Hiroshi Matsumoto. It hit arcades in 1987 but it wasn’t until 1991’s Street Fighter II that the franchise really gained momentum. 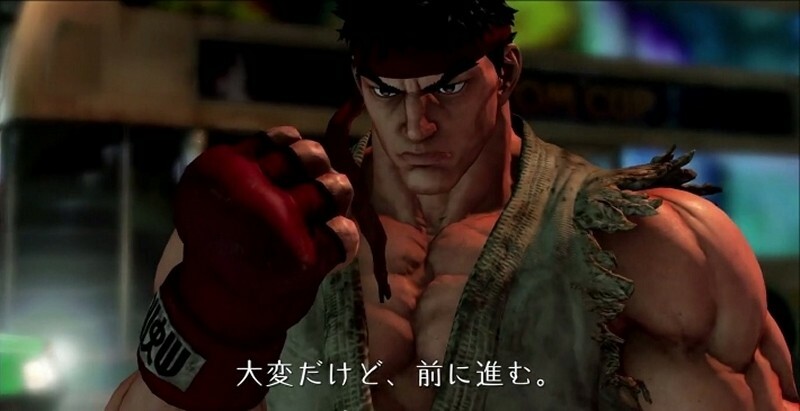 Since then, Capcom has turned out dozens upon dozens of titles under the Street Fighter banner and based on early chatter regarding the leaked trailer, the series enjoys a legion of fans to this day.